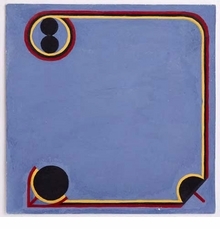 Jo Baer (born 1929) was a key figure among the pioneers of Minimalist painting in New York in the 1960s and early 1970s, regularly exhibiting alongside Andre, Judd, LeWitt, Flavin, Morris and Martin. During this period, she executed her iconic series of variously sized squares and vertical and horizontal rectangles, sometimes colorful and sometimes white with black borders, which she later expanded into diptych and triptych arrangements. In 1975, Baer turned away from minimalist painting and towards a more figurative language, also incorporating words. This catalogue looks at this shift, exploring the connections and disjunctions between the two groups of work. Baer’s largely unknown drawings are introduced for the first time and placed in relation to her earlier and later paintings. 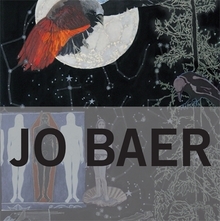 Baer is presented as a highly independent artist, whose career has defied conventional linearity. This publication is the first comprehensive monograph devoted to her work. Hardcover, 7.75 x 7.75 in. / 208 pgs / 170 color / 10 bw.